China Is About To Fly It’s First Commercial Aircraft in April 2017! Others Comments Off on China Is About To Fly It’s First Commercial Aircraft in April 2017! 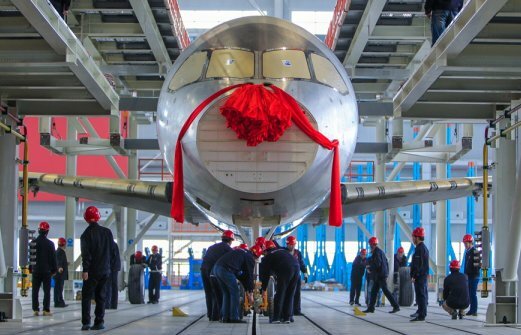 China, in continuation of it’s most aggressive industrialization is all set for the first trial run of its 168-seater commercial aircraft, challenging the monopoly being enjoyed by Airbus and Boeing. According to Philippe Petitcolin, chief executive officer of Safran SA, an aircraft engine maker. Wish them all the best with the endeavor! !